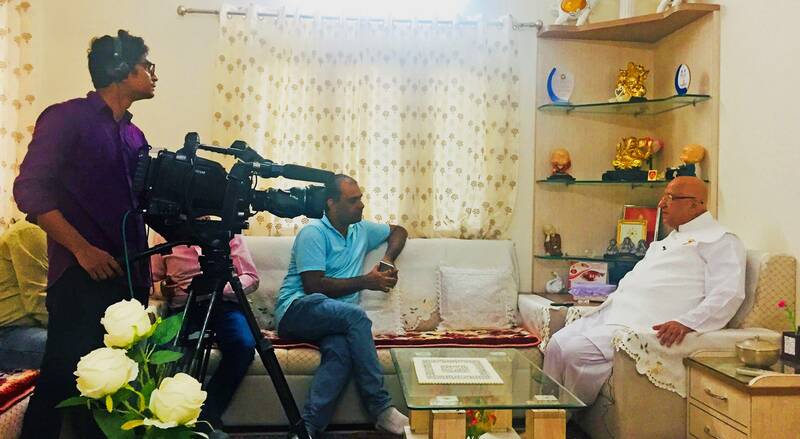 A team from DD Sports visited the Om Shanti Retreat Centre to cover exclusive bytes on the importance of meditation and fitness. They also took interview bytes of the yogis for their program “Hum Fit to India Fit” inspired by the initiative of the Prime Minister Modi ji. The program will be telecast on DD Sports on Saturday 11 August 2018 at 8:30 am and a repeat telecast is at 6 pm.